The Holy Cross Service Program is integral to the education of a BMHS student. As a Holy Cross sponsored school rooted in the Catholic tradition, we not only teach students to “Think with Christ,” but also to live like Christ. 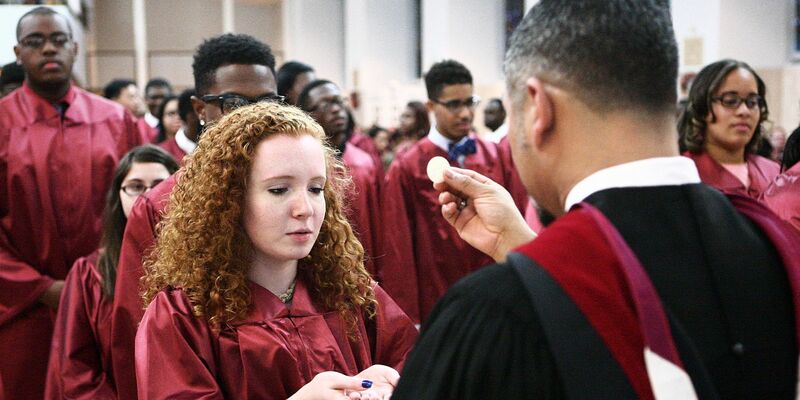 The Holy Cross Service Program at Bishop McNamara High School is guided by love of neighbor and the work of social justice. Students are encouraged to move out of their comfort zones as they seek to help those in need - and perhaps even to see the face of Christ in the strangers to whom they show compassion. Learn more about the Holy Cross Service Program, including grade-level requirements, and access different forms pertaining to the program by using the links on the left.